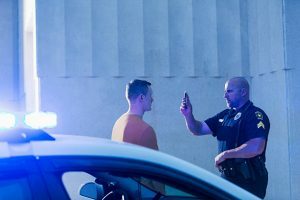 Last June, the United States Supreme Court issued a decision in a DUI case that many DUI lawyers had been closely following. The case is actually three separate cases consolidated into one case captioned, Birchfield v. North Dakota. What united all 3 cases was that they all dealt with a North Dakota law which made it an actual crime to refuse to take a breathalyzer test and a blood test when requested to do so by the police. There is no such law in Illinois. A refusal to take a breathalyzer test or blood test can result in the suspension of your driving privileges in Illinois but is not an actual crime in Illinois. 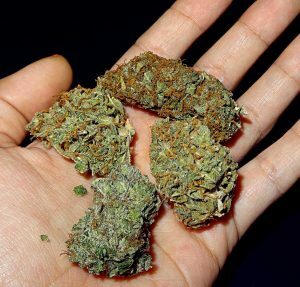 However, 13 other states make a refusal to submit to a breathalyzer test or blood test a crime. 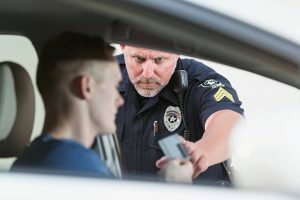 Both North Dakota and Illinois have “implied consent” laws which means that when you operate a motor vehicle upon the public roads, you consent to submitting to a breathalyzer and a blood test when requested to by the police. Illinois warns you that failure to consent to a breathalyzer test could result in the suspension of your driving privileges while North Dakota warns you that failure to consent to a breathalyzer test could result in criminal prosecution. Refusing to submit to a breathalyzer or a blood test is not a crime in Illinois. The refusal to submit to such testing can only result in the suspension of your license for a period of time, usually one year, if this is your first DUI. 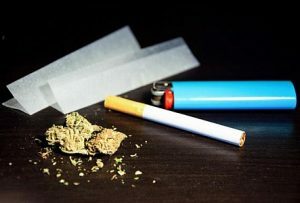 Sometimes, refusing to submit to a breathalyzer or blood test could benefit the underlying DUI case making it harder for the state to prove their case with test results, but will not stop the suspension of your driver’s license. Refusing to submit to a breathalyzer test or a blood test is a misdemeanor in North Dakota. By making it a crime to refuse to submit to a breathalyzer or a blood test, a driver would be more likely to consent to such testing, thereby making it easier for the state to prove guilt in an underlying DUI prosecution. In a 5 to 3 decision, the Supreme Court ruled that the police do not need a warrant to do a breathalyzer test but need a warrant to take a blood test. The majority opinion was written by Justice Alito who held that “because breath tests are significantly less intrusive than blood tests and in most cases amply serve law enforcement interests, we conclude that a breath test, but not a blood test, may be administered as a search incident to a lawful arrest for drunk driving.” Since it’s considered a search incident to a lawful arrest, a warrant is not needed. Since the case involved 3 separate DUI arrests, there were 3 different outcomes. One driver, Danny Birchfield, had his conviction for failing to consent to a blood test overturned. The second driver, Danny Bernard, Jr., had his conviction for failure to submit to a breathalyzer test upheld. 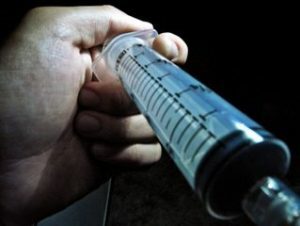 The third driver, Steve Beylund, who consented to a blood test under threat of criminal prosecution, had his case returned to the trial court in light of the holding that a warrant is required for a blood test. Can You Be Charged With a DUI If You Pull Over “To Sleep it Off”? It’s been a tough week. You have been swamped at work and you have been busy at home with activities with the kids. Finally it’s Friday and you made it. Your co-workers invite you to go out for drinks to relax after the end of a long week and you accept. After a couple of hours at a local bar of unwinding with your co-workers and after a few drinks, it’s time to go home. You get in your car and start driving and after a few minutes you realize that you may be in no condition to drive. 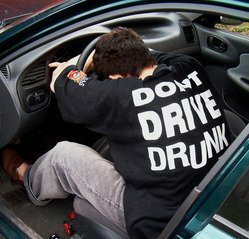 You don’t know if it’s the alcohol or if you are just tired from your long week, so you decide to pull over and take a nap because you don’t want to take a chance of nodding off while driving and getting into an accident. So you pull over on a side street, park your car, shut off the engine and take a nap. After a few minutes you wake up to the sounds of knocking on your car window. It’s a police officer who is trying to get your attention. You explain to the officer that you are tired so you pulled over to take a nap before heading home. The officer asks you if you have been drinking and you tell him you had a couple of drinks a while ago but had a long week and are just tired. You pull your car keys out of your pocket and the officer asks you to exit your vehicle. 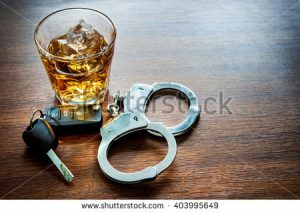 The officer asks you to perform certain tests and then informs you that your are under arrest for suspicion of driving under the influence of alcohol. So how can you be charged with a DUI when you were just taking a nap in your car? This fact pattern is pretty common. Unless you understand the law in Illinois, it’s hard to comprehend how you can be charged with a DUI when you were doing the responsible thing and getting off the road when you realized you were in no condition to drive. The key factor in determining whether you could be charged with a DUI is if you had actual physical control of a motor vehicle. Whether you had actual physical control of your motor vehicle depends on the specific facts of each case. The Court will look at the totality of the circumstances to determine whether you had actual physical control of your motor vehicle. The leading case on this issue in Illinois is City of Naperville v. Watson, 677 NE2d 955 (1977). In this case, the police found Watson sitting in the driver’s seat asleep with his head on the passenger seat. Watson had the engine running so he could have the heat on. There was no evidence that he was driving or that he was planning on driving his vehicle. Yet, in this case the Court found that he was in actual physical control of his vehicle based on the fact that he was sitting in the front seat, the keys were in the ignition and the car was running. Since he was in actual physical control of his vehicle, he could be charged with a DUI. What seemed to be important in that case was that Watson had possession of the keys to the vehicle. The Court specifically found that “sleeping it off” is not a defense to a DUI. The Court refused to give an intoxicated motorist a “good citizen discount” for realizing they were in no condition to drive. Rather the court doesn’t want someone who is intoxicated from entering a motor vehicle unless they are a passenger.